Try meal prepping for your week with this healthy and tasty recipe! Marinate chicken with rice vinegar, half the garlic, salt/pepper and set aside. Then season zoodles with the remaining garlic, salt and pepper. Next, heat a large pan to medium/high heat. Add ½ tbsp. of olive oil. Then add the chicken and sauté until golden and cooked through. Once the chicken ready, set aside. Next, add ½ tbsp. of olive oil to another large plan and toss in the zoodles. Cook the zoodles on medium/high heat until tender (5-7 minutes). 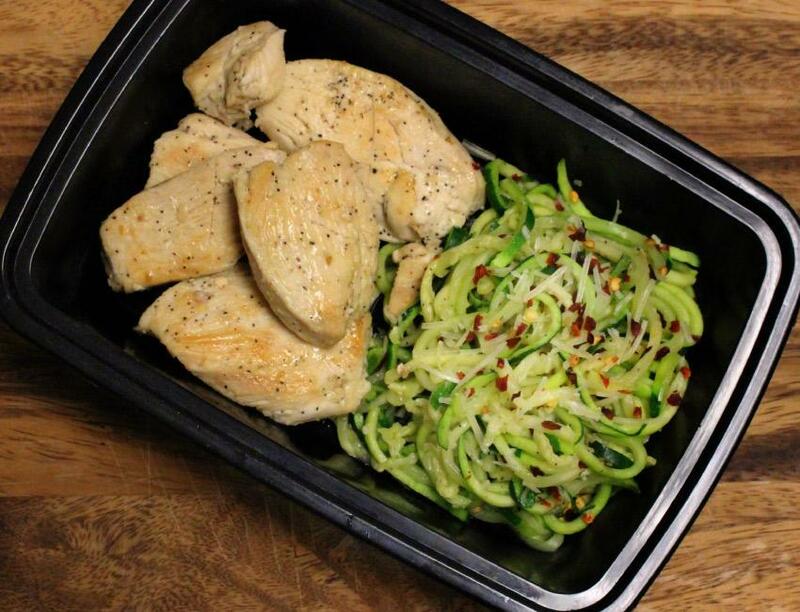 Finally, place desired amount of zoodles and chicken in meal prep containers. Sprinkle zoodles with parmesan cheese and red pepper flakes. Store in fridge for up to 4 days, enjoy!